Marc Parent has written an article, like many others before him, on how you know when you're a runner. But this article is different...For some reason, I found myself really moved by it. There's a beauty in his humor, in the simple truths he exposes in the article. Put this on your reading list. Bookmark it. Read it more than once. Maybe it was just the perfect time for me to be reassured, but this is truly for anyone who has ever wondered when they can classify themselves as a runner. While Parent does a great job of breaking down some of the finer points, he didn't hit on everything. How could he? Here are my additions to the "You know you're a runner when...?" question. It's important to put your running clothes in the drawer you reach most easily to avoid any extra work in the mornings. I recommend hip-height, of course. 2. You find yourself stretching at random times...like in the middle of cooking...or teaching a class of 8th graders. 3. You zone out into daydreams about your last run...or your next one. At first I was like, "This is unintentional and embarrassing", but then I was like, "OWNING IT!" 5. You find a sick pleasure in convincing your friends to try running, especially when they catch the bug and get addicted. 6. You're more upset with the time off you have to take for an injury than the injury itself. 7. Black or lost toe nails and chafed skin are badges of honor. 8. You have no shame in wearing sneakers or compression socks in public. Yes, I wore these to school with bright violet shoes. I'm the coolest teacher around, clearly. 9. Your muscles ache when you take too much time off. 10. Even your bad runs are good runs. 11. You find a way to incorporate core-work and cross-training into everyday activities. This is my classroom computer chair. Core strengthening, baby. 12. Most of the items on your bucket list are running-related. 13. You have seen your city cloaked in darkness, when most sane people are asleep. 14. You are totally comfortable taking awkward pictures of yourself (and strangers) at the gym and in public places...for the sake of your running blog, of course. At least three gym-rats were giving me the stink-eye as I repeatedly took this selfie until I had the perfect "perplexed-and-resigned" expression. If I'm being totally honest, I guess I'll admit that maybe this one was more for me than you guys. 15. But in all seriousness, maybe I finally knew I had "arrived" when people started asking me for running advice (without my first bringing up my own obsession), and sharing their awesome running accomplishments, because my running journey had inspired them to start. From the first person I ever infected with the running bug! Seriously the best kind of message to get from a non-running friend. Yeah, that's definitely my #1, A-ha!, enlightenment moment. If so many of my amazing friends think I'm a runner, who am I to argue? When did you know you were a runner? Ever find yourself stretching randomly in public? It's like, the best thing ever, isn't it?! Makes you feel like an expert! I knew I was a runner when I got injured, had to take some time off, and all I could think about was going on a run again! There are days I question it but they are few. It's funny how being forced to take time off makes you realize how much you love running :o) Absence makes the heart grow fonder, and all that jazz! If we had chairs that detached from our desks, I'd have my kids get exercise balls. Studies show sitting on them keeps them engaged and increases learning! I'm sorry you're injured! Stretch, ice, elevate, etc...Keep the long run (no pun intended) in mind! Missing one weekend run isn't going to hurt you, but an exacerbated injury will. 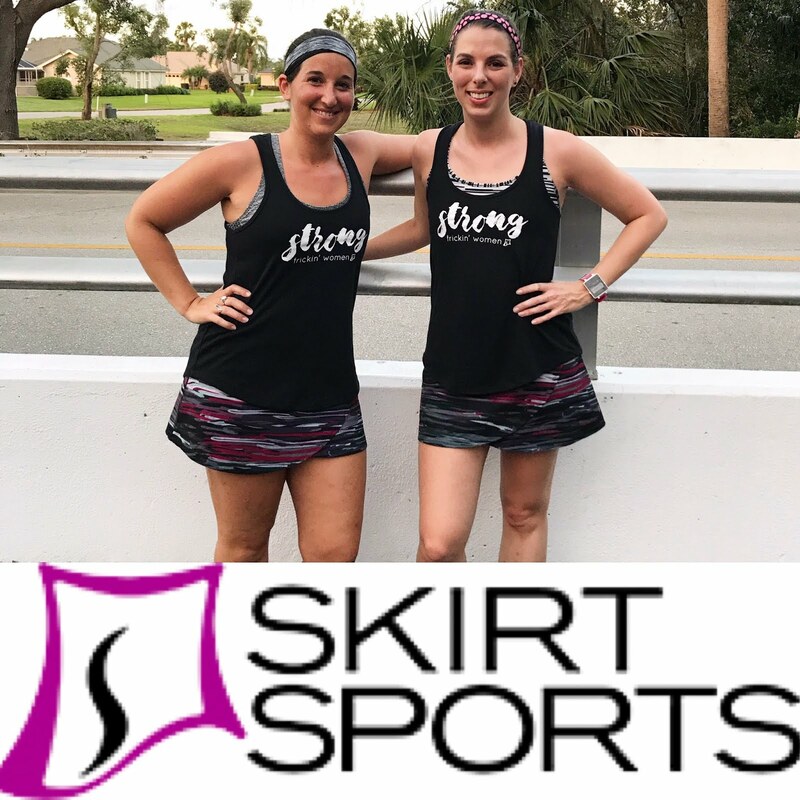 The outfits are a big thing...non-runners and newbies might not get it, but a good set of running clothes is truly transformative! I totally agree with ALL of these, but I definitely did not feel like a runner until people started telling me how I have inspired them to run or just live a more healthy lifestyle. 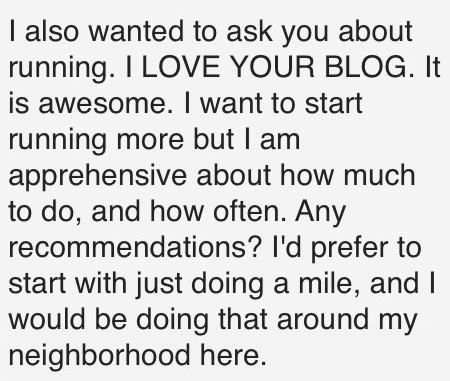 People send other people my way to ask about running and it feels so awesome! My workout clothes live in a gym bag on my closet floor that is completely overflowing because all of my drawers are full. I should seriously consider removing my t-shirts and putting in workout clothes since that's what I live in most of the time anyway! So fun those last two comments! This post is awesome. I literally just thought out loud yesterday AM when I was running how beautiful it was and everyone else was sleeping! There's something so amazing about being out while everyone is asleep. It's like you get to see the world when it's just being itself, just waking up. Like being part of a secret society! 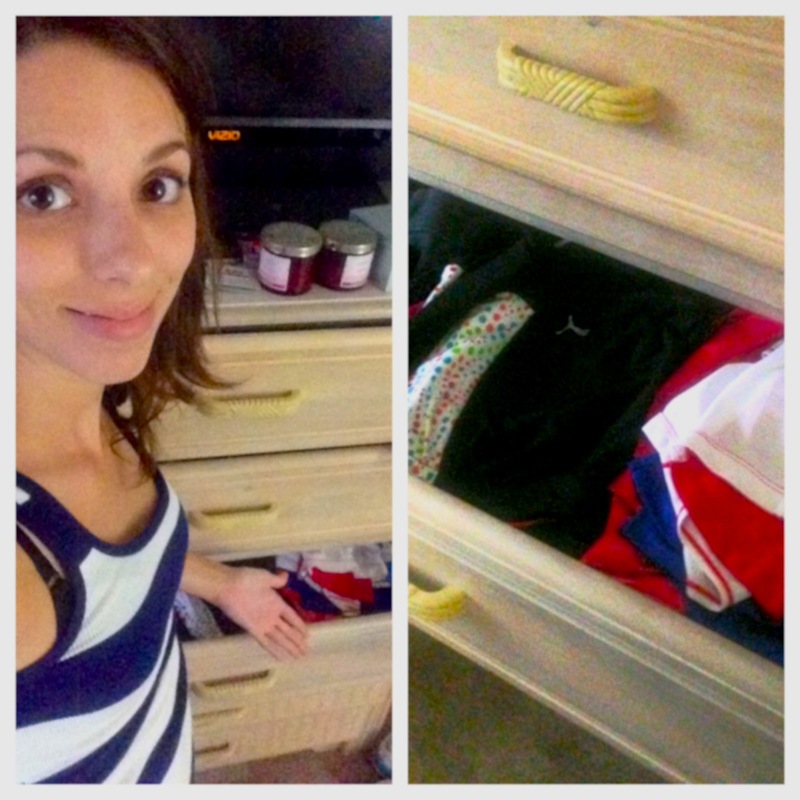 I was just thinking the other day that I need to move my running clothes from their 2 overflowing small drawers into the bigger drawers I use for "normal" clothes... My running clothes now outnumber my regular clothes! Also, when I think of "vacation" I think oh! I'll get to run someplace NEW! Totally twisted running thinking that I never would have expected before becoming a runner. YES on the vacation bit! I judge EVERYWHERE I go by if it'd be a nice place to run! I wear runner's eyes all day long. It definitely took some time to grow brazen enough to take a selfie at the gym...I still haven't mastered taking a picture in the mirror when other weight-lifters are around! I LOVED the Marc article! This right here sums up my life: "Now, when I see runners, I not only trust them, I wonder who they are. I think they could be my friends. I think we would feel the same about everything." Also, I so agree about the selfies at the gym, although I think I've kind of perfected a little system. While I'm still standing on the treadmill I activate the front facing camera on my phone and pretend I'm using it as a mirror to straighten and smooth out my ponytail ...and then I snap a pic real quick! Also, I think I'm a runner because I have about 10 different playlists called creative and inspiring names like "Running 1" "Running 2" "Running July" etc. in Spotify! Wasn't his article awesome?! It touches on every aspect of what makes the running tribe so amazing. My favorite-- "Even your bad runs are good runs"
so true! we can always find the good and the endorphins and the improvement in the hardest, most awful of runs! Sometimes I even appreciate a "bad" run more than a good one because I know it's really tested me and brought me closer to a goal! This is my first time on your site and this is a GREAT post. I also read this article and was nodding my head the entire time! I've been running for over 10 years now but I knew I was a runner the first time I was chaffed - badly - in very sensitive places!!! I had no idea I was supposed to use some kind of body glide and I had scabs and scars from it. Yep. I've never been without it since! Great post and great pics! I'm so glad you liked it! Thank you for visiting! I had definitely not realized that running and chafing would bring back my eczema! I'm definitely scarred for life. Oh my gosh, me too. I'm a definite in-public stretcher. I love your idea for clothes! I'll bet it makes it easy to find what you want! MTWR 6 & Sunshine Award!